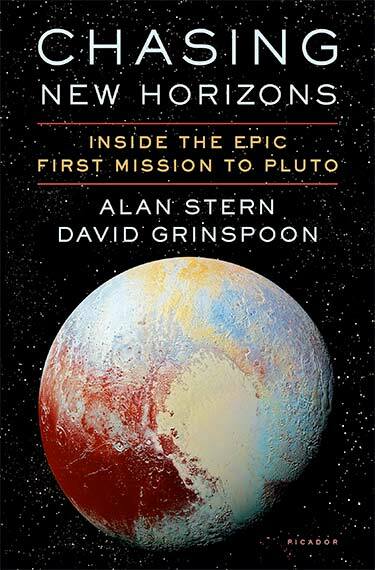 Close to three years after the historic New Horizons Pluto flyby wowed the world, mission principal investigator Alan Stern and astrobiologist and mission science team member David Grinspoon tell the riveting story of a monumental exploration 26 years in the making in their new book Chasing New Horizons: Inside the Epic First Mission to Pluto. Much like a novel, the book starts with a crisis, the loss of contact with the spacecraft just ten days before the flyby, then goes back to the beginning of everything and narrates the story chronologically, from Stern’s birth through the first thoughts of a Pluto mission just as Voyager 2 visited Neptune in 1989, and the many twists and turns, setbacks and victories that culminated in the triumphant 2015 Pluto flyby. Stern and Grinspoon are scientists, yet this book is first and foremost a narrative, one that takes readers along on a multi-decade effort that started as a vision by young scientists whose efforts were stymied by a powerful and often set-in-its ways establishment. From the initial “Pluto Underground” visionaries to the steadfast team members who overcame what seemed like never-ending challenges, readers are familiarized with the many resourceful, persistent characters who made the mission happen, to the point that it feels like we know them personally and are there with them during the journey. At times, Stern and Grinspoon make references to popular science fiction such as Star Wars and Star Trek, an interesting choice given that Chasing New Horizons often reads and feels like a Star Trek movie. Like chief engineer Scotty, the mission team always manages to find a way to work within what seem to be impossible limitations in terms of time and budget. One problem is successfully dealt with only to lead to another. If just one of many cancellations or crises or decisions had gone a different way, there would have been no Pluto mission at all, the writers note while recounting each of the do-or-die moments. In total, proposed Pluto missions were canceled five times. If not for the incredible persistence of those committed to making one happen, the world today would still know little about this mysterious world. “We really need an orbiter that can map 100 percent of everything in the Pluto system. We want to bring radar to look down to the ice; we want to bring mass spectrometers to sample the atmosphere; we want thermal mappers,” Stern told Spaceflight Insider, New Horizons raised so many questions about Pluto and its moons that Pluto scientists are already laying the groundwork for a Pluto orbiter. By raising the strong possibility that Pluto has a subsurface ocean, the mission has put Pluto on the radar screen of scientists who study ocean worlds and want to visit a broad sample of these worlds, Stern noted. 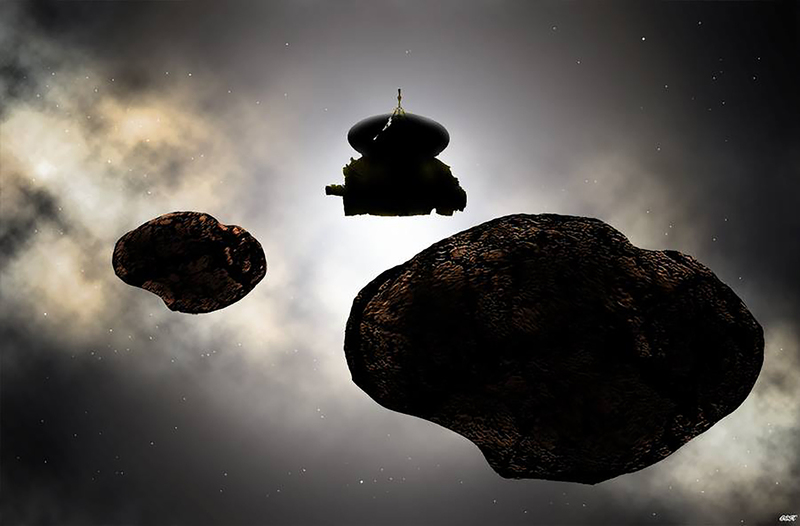 New Horizons was about more than science; it was about the motivation to explore a “strange new world,”to “go where no one has gone before.” The motivation to explore kept the dream alive even when everything seemed lost. When it finally happened, the flyby was as much about aesthetics and beauty as it was about science, Stern and Grinspoon note. 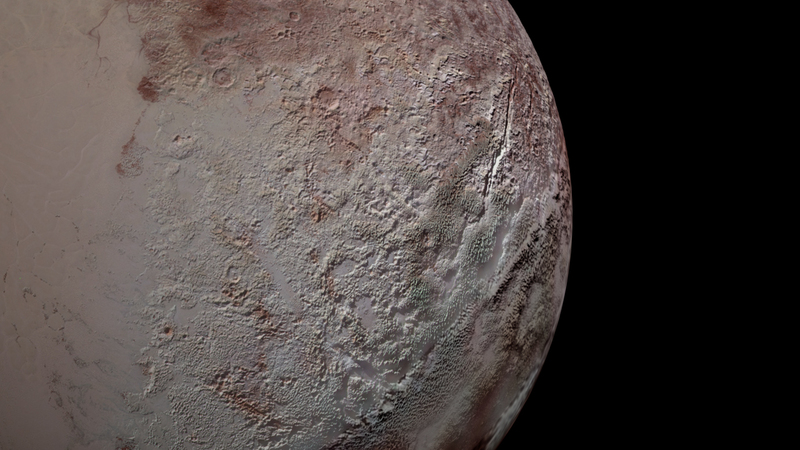 With its diverse surface features and iconic heart-shaped region named for Clyde Tombaugh, Pluto turned out to be a beautiful, breathtaking world. Recounting an especially poignant moment in the epilogue “Coda: A Final Discovery,” Stern and Grinspoon recount New Horizons’ unanticipated human impact as a new generation’s Apollo experience with a moving story about how the flyby inspired a Florida teenager to go from failing school to being an A student upon deciding he wanted a career in space exploration. Yes, an orbiter! Rovers, too!